At 24 years of age, Captain Richard Louis Basinger, selflessly made the supreme sacrifice in service to his country, and to his fellow Marines. 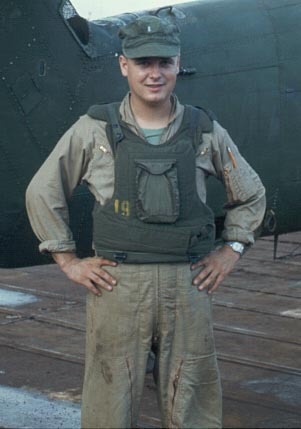 From September 1966 to May 12, 1967, he flew over 350 combat missions in the Republic of Vietnam as a pilot in the United States Marine Corps UH-34D helicopter squadron HMM-363. This site is a tribute to a true American hero, a courageous patriot, a faithful comrade and friend, a distinguished Marine Corps officer, a beloved son and brother, a loving husband, and a proud father. Thank you for visiting this web site which I have created in memory of my father. Before you leave, please take a moment to sign the guestbook. Also, if you have any questions, comments, or suggestions regarding this web site, please send me an email.